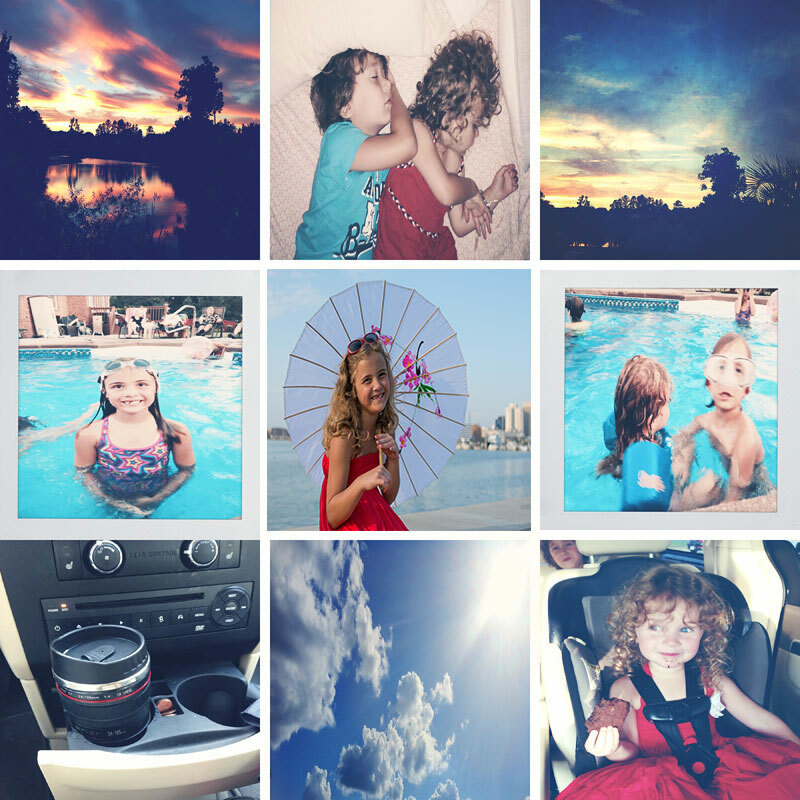 Hello sweet friends and welcome to week 30 of Friday Photo Journal! It was another busy, fun-filled week here. 1. Gorgeous sunset on my birthday. 3. Another sultry sunset. Love! 4. My big girl getting her swim on. 5. My big girl obliging me with a photo session. 6. My littles splashing in Nana and Billy's pool. 8. Clouds and sun flare. I love them. 9. My silly curly sue enjoying her brownie payoff after our photo session. I hope you've had a great week. I can't wait to see your photos! I have always admired that mug! Such a fun photog gift. Hope you had a great post birthday week. Looks fun! I love her puffy dress in that last one. I laid awake last night racking my brain on the face that I have to get a session in with the kids before summer is over. You are so good about that. Inspiring!! Wishing your family a great weekend! Have a great weekend...love all of the shots!